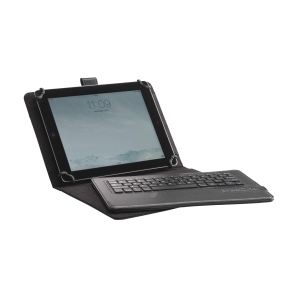 We Brand It : Bluetooth Keyboard Case 9/10"
Universal Keyboard leather-look case for 9/10 inch tablets. 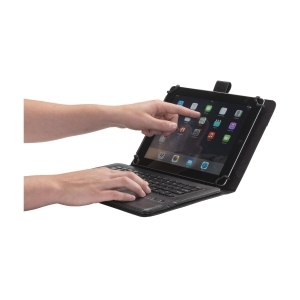 With removable, wireless QWERTY keyboard for tablets with bluetooth support. 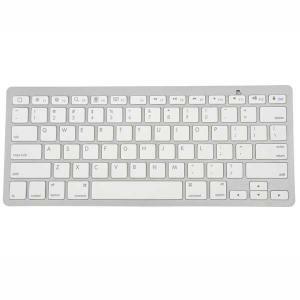 The keyboard includes hard keys for a nice touch and is easily removable thanks to the magnetic attachment. 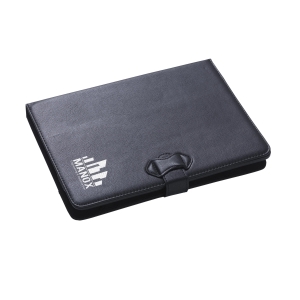 In no time you click the tablet into the case and you have a full-fledged workstation. 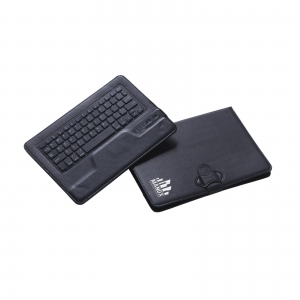 The wireless Bluetooth connection allows working and typing anywhere possible. Standby time: 60 days. Effective working time: 30 hours. Incl. 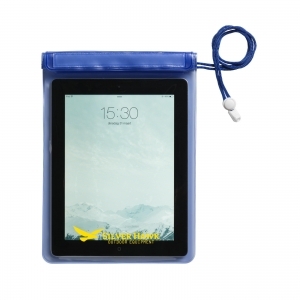 lithium polymer battery (200mAh), USB charging cable and user manual. Each piece in a box. 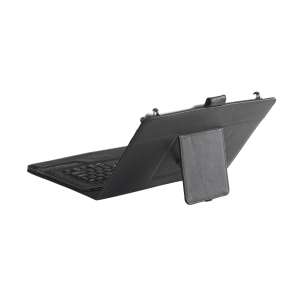 To order an unprinted Bluetooth Keyboard Case 9/10", please complete the details below.